The co-occurrence of autoimmune disorders (AI) with systemic lupus erythematosus (SLE) in adults is associated with poor disease outcomes. We describe the co-occurrence of other AI in children with SLE (cSLE) and evaluate the relationship between comorbid AI and lupus disease outcomes using the Childhood Arthritis and Rheumatology Research Alliance (CARRA) Legacy Registry. The CARRA Legacy Registry is a multicenter prospective, observational, longitudinal database of children with defined rheumatic conditions including SLE. Subjects were enrolled from May 2010 through July 2014 at any time during their disease course and data were collected at 6-month interval follow up visits from 60 clinical sites in the US and Canada. 1285 subjects met the American College of Rheumatology (ACR) 1997 criteria for SLE. We defined comorbid AI as the presence of any of the following diseases: Hashimoto’s thyroiditis, Celiac disease and type 1 diabetes mellitus. Disease outcomes were assessed by measures of disease activity and impact on quality of life (QoL). Comparisons by AI status were made using chi-square, Fisher’s exact, two-sample t-tests, Wilcoxon rank sum tests, and mixed effects models as appropriate. Data on the co-occurrence of AI were available in 388 (30%), unknown in 31 (2%), and missing in 866 (67%) at the baseline visit. The prevalence of comorbid AI was 20% (n=79). When comparing subjects with AI (n=79) to those without AI (n=309), subjects with AI were significantly younger at onset of lupus and had more 1st degree relatives with AI (Table 1). Subjects without AI had significantly more renal disease at the time of enrollment. During follow up visits, the average Systemic Lupus Erythematosus Disease Activity Index (SLEDAI) score over time was significantly lower among subjects without AI. There were no significant differences over time in the Physician Global Assessment (PGA) level of disease activity by comorbid AI. Overall, there were no significant differences in the QoL measures or their trajectory over time based on the presence of comorbid AI (Figure 1). Among children with SLE, the co-occurrence of another AI is associated with younger age at presentation, but is not associated with poor disease outcomes. Out study was limited by missing data on our variables of interest. Future plans include validating our results using the new prospectively collected CARRA Registry that has more complete data on comorbid AI and lupus disease outcomes. Numbers of missing data: Ethnicity 1 (0.26%), Race 19 (4.9%), Insurance 14 (3.61%), Smoking 122 (31.44%), AI in 1st degree relative 28 (7.22%). Disclosure: O. AlAhmed, None; V. Sivaraman, None; M. Moore-Clingenpeel, None; S. P. Ardoin, None; S. Bout-Tabaku, None. AlAhmed O, Sivaraman V, Moore-Clingenpeel M, Ardoin SP, Bout-Tabaku S. The Prevalence and Clinical Features of Co-Occurring Autoimmunity in Children with Systemic Lupus Erythematosus: The Childhood Arthritis and Rheumatology Research Alliance (CARRA) Legacy Registry [abstract]. Arthritis Rheumatol. 2018; 70 (suppl 10). 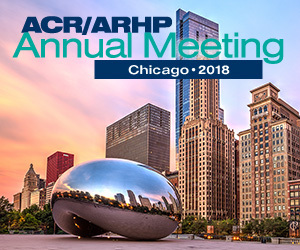 https://acrabstracts.org/abstract/the-prevalence-and-clinical-features-of-co-occurring-autoimmunity-in-children-with-systemic-lupus-erythematosus-the-childhood-arthritis-and-rheumatology-research-alliance-carra-legacy-registry/. Accessed April 18, 2019.